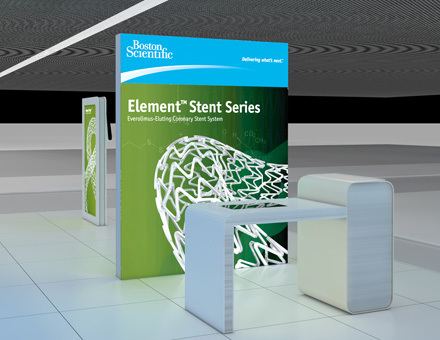 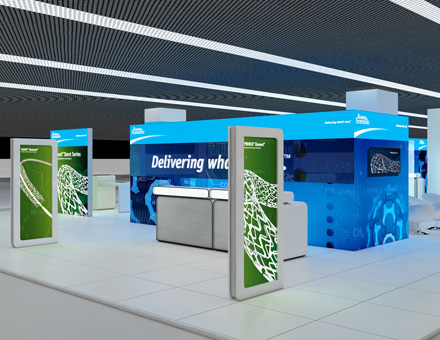 Trade fair booth design for Boston Scientific with the challenge of showcasing small scale medical (stent) technology in an effective, unexpected way, creating a wow-factor. 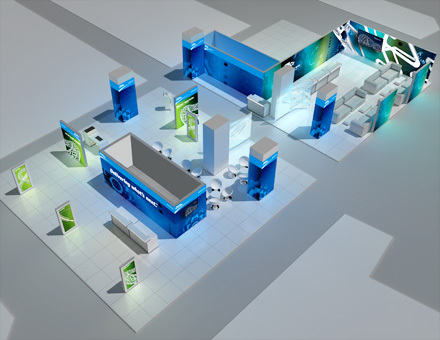 Development of a new visual language and brand profile for the 3D presentation of the company on large scale backlit visuals, an LED information wall and a 3D holographic product highlight. 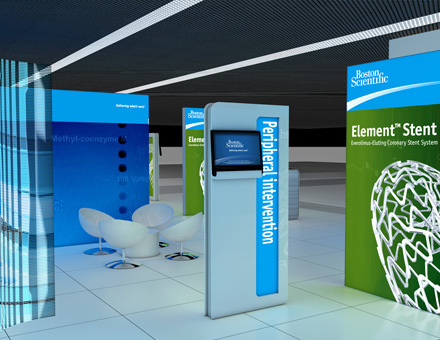 The presentation set the client apart from their competitors, drew visitors and engaged through a comprehensive brand experience.